(l-r) Beverage Marketing Manager, LASCO Distributors Limited, Danielle Cunningham; Senior Marketing Communications Executive, LASCO Financial Services Limited (LFSL), Danielle Harris-Drysdale; Executive Director, Social Development Commission (SDC), Dr Dwayne Vernon and Minister of Local Government and Community Development, Desmond McKenzie display symbolic sponsorship cheques. 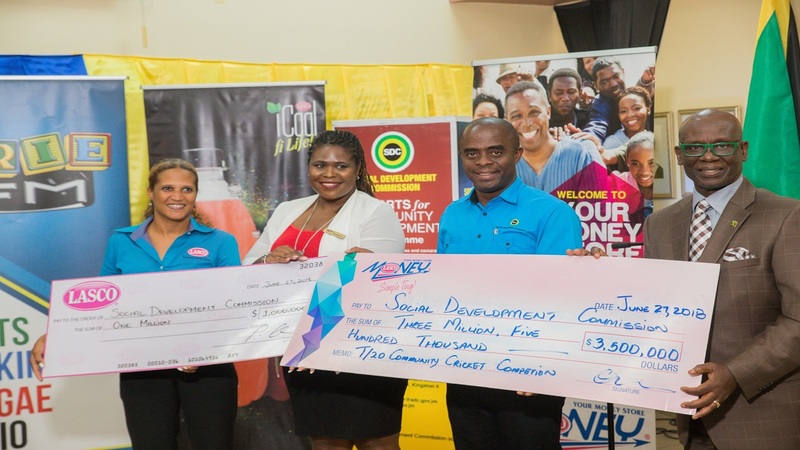 LASCO Money and LASCO Distributors Limited have recommitted $4.5 million toward the 12th staging of the annual Social Development Commission (SDC) National 20/20 Community Cricket Competition. Since 2008, members of the LASCO Affiliated Companies have remained major sponsors of the programme which seeks to assist with increasing youth inclusion and community participation while raising awareness about the role of community organisations in the economic development of Jamaica. LASCO’s contribution for 2018 will see main sponsor LASCO Money pumping $3.5 million and LASCO Distributors adding another $1 million in sponsorship value. 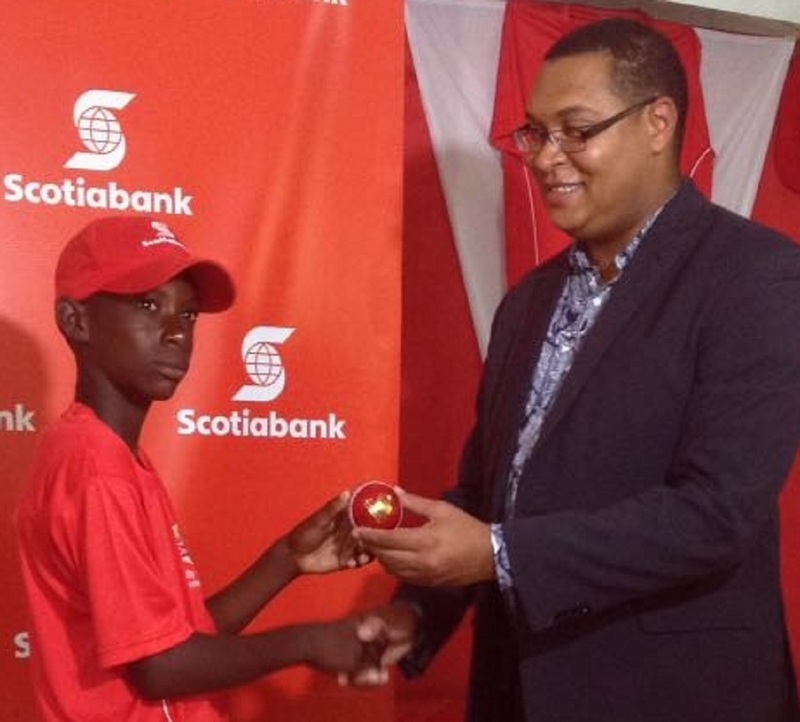 Jacinth Hall Tracey, managing director of LASCO Financial Services Limited (LFSL), under which the LASCO Money brand falls, says the entity remains steadfast in supporting programmes which contribute to the advancement of community development through sports. 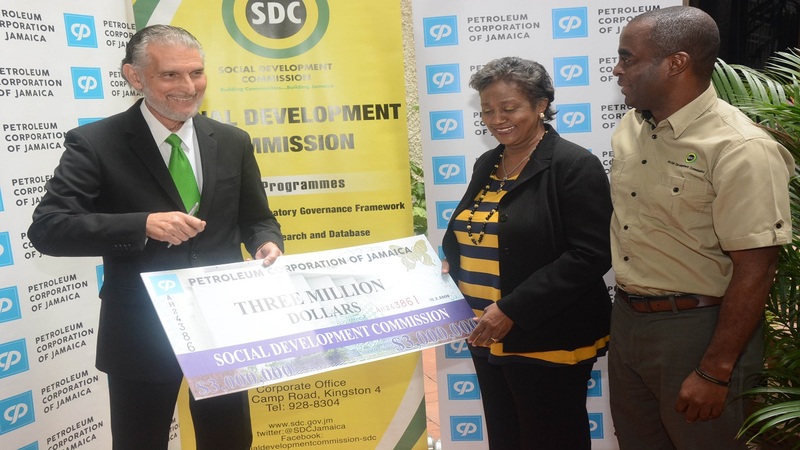 “LFSL and LASCO Money believe in the vision of the SDC; and we will continue to bolster programmes which build our nation and provide a productive and entertaining distraction for our citizens. 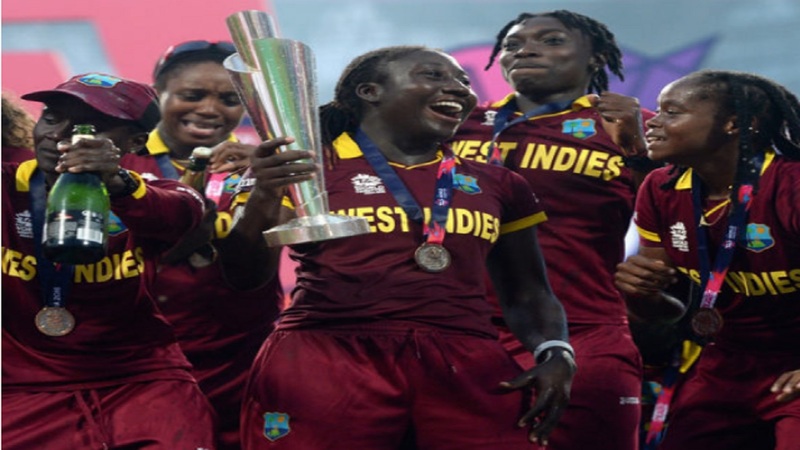 It is also an opportunity for us to help showcase the natural sporting talent of more than 2,500 men and women, predominantly under age 30, to scouts who are looking for individuals to represent at the regional level,” shares Hall Tracey. The competition, which started in late April with well over 200 teams at the parish level, will run through to the end of August. Fixtures are uploaded to the SDC’s website and also made available through the media. This year LASCO Money will present the winning team with $1.2M and the second and third place teams with $600,000 and $300,000 respectively.